A range of events and activities take place throughout the year. The key to the woodland is the role that the local community can play. The first trees to be planted on the reclaimed land were planted by local people and local groups. Much of the artwork in the Nature Park has been produced with local schoolchildren. 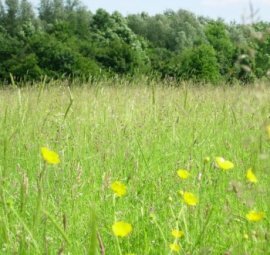 A great deal of fundraising for artwork and interpretation of the wildlife areas has been carried out by special interest groups such as the Witton Area Conservation Group, or the Friends of Anderton and Marbury (FOAM). Special training workshops have been organised by The Mersey Forest and BTCV for local groups to learn more about their woodland, including management techniques and potential for woodland products. 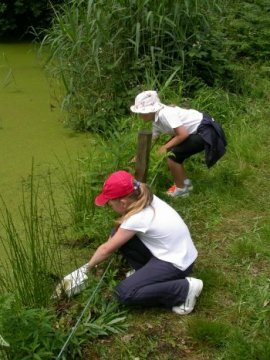 Other local groups such as the Friends of Anderton and Marbury and the Friends of Furey Wood have regular social activities as well as hands-on sessions, and you can join them for guided walks, wildlife trails and social gatherings. To find out about joining FOAM (only £8 per annum), send a sae to FOAM c/o Marbury Country Park, Comberbach, Northwich, Cheshire CW9 6AT. Furey woodlands nestles above the banks of the river Weaver with a viewing platform that allows visitors to enjoy stunning views over Northwich, the river Weaver and out towards the Cheshire plain. The site, which holds a Green Flag award, is landscaped with a network of well-made paths that can link to Northwich town centre by foot. 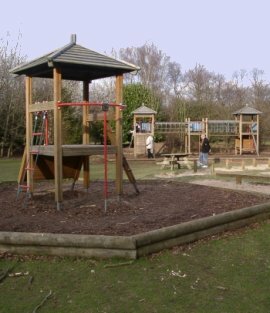 There is a free car park, picnic benches with disabled access and a planted woodland area with 2 recreational fields, one a wildflower meadow where in the summer evenings bats can be seen foraging. Many woodland birds can be heard throughout the site including finches, woodpeckers and a wide variety of small birds. The car park is situated at the bottom of Beswicks Road, Winnington Hill (opposite Victoria Infirmary). Wheelchair access to amenity grassland area, viewing point and circular path (a radar key is needed). Sign posted from Northwich town centre via the river path at Town Bridge to steep steps. Do you have a couple of hours to spare? Our volunteers play a very important role working alongside paid members of our team; without our volunteers we would not be able to operate our services as effectively as we do. Fill out the volunteer form to apply. Welcome to Buggyfit - the best way to get back in shape after your new arrival. Whatever your postnatal stage we have a programme that will suit your needs, from initial recuperation in your first six weeks, through those tough times of getting back into your jeans and onto those new levels of fitness - and most of this from behind your buggy or pram. Come and join us. The Marbury Park pool is a little oasis set in woodlands on the outskirts of Northwich in Cheshire. 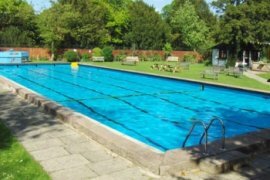 The unheated open-air pool has two diving boards and is set in extensive grounds with picnic tables and benches. There is also a paddling pool, changing rooms and a small shop. The pool opens between May and September each year. Opening hours are noon until 6pm in May and then 11am until 7pm for the rest of the season. The pool is open daily to members but day-passes are also on offer to visitors at a price of �per adult and �per child. Non-members should call the pool before visiting as, on busy days, entry is restricted to members only. Pool staff can be contacted on 07599 702903.